Made from durable nylon material. Heavy duty Nylon tapes with extra reinforcement. 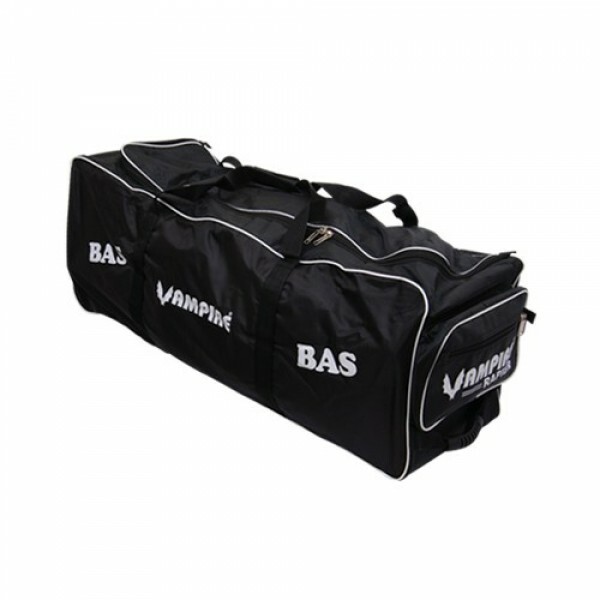 Provision for bat to fit inside the bag. Wheel bag with Double pockets. Size: 40"x14"x22"